Dr. Richard Lippman is the world’s foremost authority on free radicals and peroxides and their effects upon longevity. His own formulation known as ACF228 is a one-capsule-fix to many problems encountered during aging, (excepting hormonal deficiencies and inflammation). ACF stands for “aging control formula” and the 228 means that 227 other formulas were tried before arriving at his latest creation. ACF228 has been double-blind clinically tested as described in US Patent Number 4,695,590 (and other patents pending) and described in Dr. Lippman’s new book, Stay 40. This book and the supporting patents employ several unique inventions that allow non-invasive in-vivo monitoring of lipid peroxides and free radicals in human volunteers. ACF228 was double-blind tested by the medical authorities in Sweden and Italy, who registered the formula as a medical product not a supplement. The clinical studies leading to these authorisations can be downloaded from the US patent office’s website (clicking patent number 4,695,590). 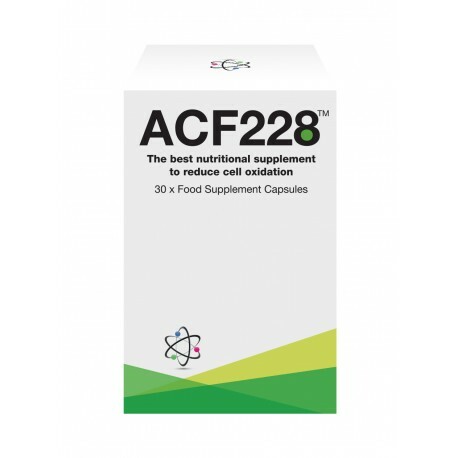 You can soon experience the positive effects of ACF228, available exclusively from International Antiaging Systems. Dr. Lippman has shown that the “one pill/one meal” protocol reduces oxidative damage, increases mitochondrial efficiency, and slows ageing at the cellular level. Anyone following this regimen for one month, along with replacement of deficient hormones, nutrition, and moderate exercise, can expect superior blood test scores - achieving comparable values to people in their teens and twenties. You can feel healthier and happier - and your chronological age will begin to diverge from your biological age. Dr Lippman has followed this regimen since 1979 and maintains that he is biologically at least 15 to 20 years younger than his actual age. His unique blend of free radical and peroxide quenchers work together to strengthen your body’s natural defences. They provide a multi-pronged weapon against the ageing process - and also help you to reduce the risk of cancer. The formula contains N-acetyl cysteine, which tackles the most common radical superoxide ‘anion’ (a negative Ion) radical through a process known as ‘quenching’. Nordihydroguaiaretic acid (NDGA) is also in the mix, helping stop fatty acids (essential building blocks of all cells) from becoming radicalized. A secondary line of defence in ACF228 is butylhydroxytoluene (BHT), which deals with the most damaging of all radicals, hydroxyl. Hydroxyl only has a nano-second half-life, so it cannot be “quenched” by ordinary antioxidant vitamins or cellular enzymes. Selenium is another second-tier radical scavenger in the formula, renowned for helping recharge your cells’ antioxidant capabilities and binding to the toxic metal mercury. ACF228 also contains Catalase which is also critical to deactivating and converting hydrogen peroxide. Insufficient Catalase increases hydroxyl. L-Carnosine, a premier anti-glycator helping counter the hardening of the eye lens and loss of skin and artery elasticity, and Dimercaptosuccinic acid (DMSA), the premier extractor of heavy metals, are also key ingredients in the ACF228 formula. The formula contains Vitamins B6, B12, and folic acid – mandatory methylation vitamins for any serious anti-ageing programme - as well as Iodine and Potassium Iodide which helps lower cancer risks and improve thyroid function." Perhaps the most scientifically designed nutrient complex available. The most comprehensive nutritional supplement ever created, the backbone of any nutritional support program. Perhaps the ultimate, scientifically designed nutrient complex. Atkins diet in a pill? The best fruits in the world and more.